Is regular vehicle maintenance a thing of the past? If you’re like most people, you probably follow the age-old advice handed down for generations and begrudgingly make regular trips to have your vehicle’s oil changed every 3,000-3,500 miles. If you’re a rebel, you might push it to 4,000 miles. But in today’s vehicles, is this necessary? 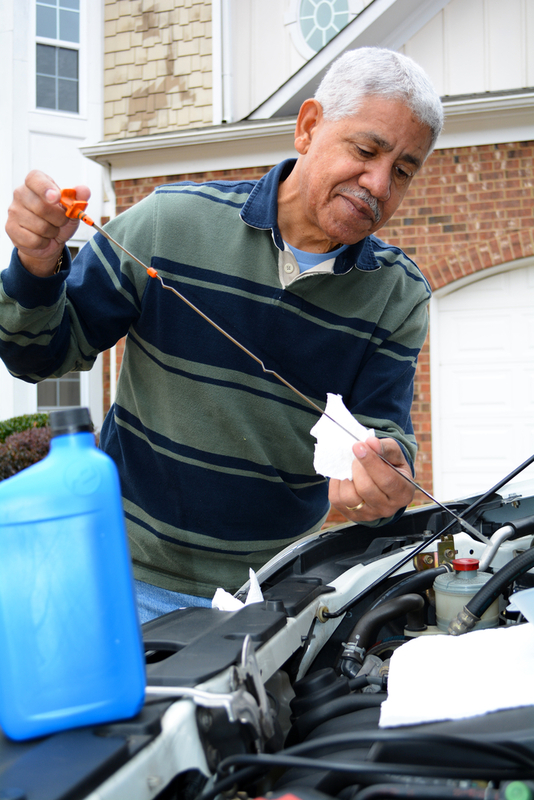 Is regular vehicle maintenance a thing of the past? The idea of “too frequently” changed oil was recently brought to my attention and I must admit, at first I thought it was a very strange concept. Way back when I went off to college my dad told me to make sure I got the oil changed every 3,000 miles, so by golly that’s what I’ve always done – give or take 500 miles. But, as I looked into it a bit more and thought about it a lot more, expecting more mileage between oil changes makes sense. With modern technologies and more efficient engines powering today’s vehicles, we SHOULD expect more. This lead me to my next question – if your vehicle is a 2008 or newer, what is the manufacturer’s recommended maintenance plan outlined in the owner’s manual or maintenance guide? Do you know? Or, like me, did you place those handy little books in the glove box when you purchased your vehicle and only pull them out when an unrecognized warning light comes on? As my curiosity grew, I started asking everyone around me what model year their vehicle is and what their owner’s manual recommended. Not surprisingly, everyone had to look it up. (You already know I had to as well.) Almost everyone was somewhat surprised by what they read. Of course there are variables that impact the need for more frequent oil changes, but overall we all found that a standard 3,000-mile oil change is not necessary. So, when do you get your oil changed? Most of the time your vehicle will tell you. Vehicles such as the 2014 Jeep Cherokee, the 2014 Ram truck line-up and the 2014 Chrysler 300 are equipped with an oil life indicator system that alerts you when it’s time for the vehicle to be serviced. Varying conditions, such as extreme temperatures or frequent stop-and-go trips, may cause the “Oil Change Required” light to illuminate earlier at times, while at other times you may get a more extended oil life. Having an oil life indicator system does not excuse you from being a responsible vehicle owner. It’s still a good idea to do a quick, monthly fluid check. And, of course, before taking an extended road trip, you still want to give your vehicle a good once-over. Unfortunately, until vehicle technology becomes so far advanced as to be able to predict our future driving events, nothing will replace pre-road trip inspections. What it breaks down to is our vehicles these days are far smarter than we are. Today’s technology has taken most of the guesswork and/or “regularly scheduled” maintenance out of vehicle ownership and replaced them with cohesive systems that are quick to report when and what maintenance is required. All we have to do is pay attention.